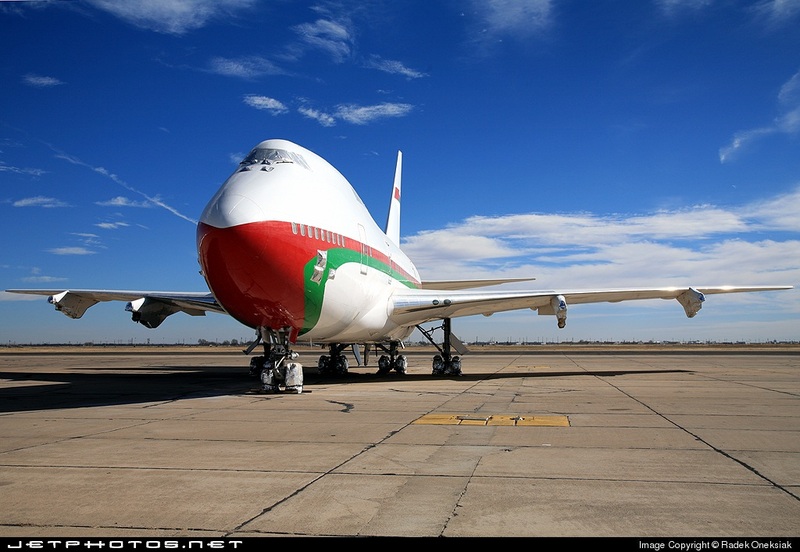 1980-05-13 N606BN Other Boeing applies for, and is granted, the plane's first airworthiness certificate. 1983-11-03 N529PA NCNB National Bank of North Carolina Bought leased back to Pan Am. 1985-08-26 N529PA Pan Am Bought Sold back to Pan Am in preparation for sale to United. 1986-02-11 N529PA United Bought Sold to United as part of huge deal including trans-Pacific routes. According to the sale papers files with the FAA, the plane's price: $1. 1990-11-01 N150UA United Incident In flight Experienced uncommanded pitch-up on autopilot Altitude Hold Mode. Disconnected and manually recovered. Continued flight without further incident. 1992-07-20 N150UA Elias C. Rodriguez Bought The Honorable Elias C. Rodriguez of Fairfax, VA, is the "Owner/Trustee" as part of transaction with Oman. 1992-12-01 Oman Gvmt Bought Purchased from Mr. Rodriguez. 1993-04-30 A4O-SP Oman Gvmt Delivered N150UA registration cancelled on this date. 1993-05-10 A4O-SP Other Special airworthiness certificate issued, plane classified as "experimental" in order to comply with FAR as a result of flight deck and interior modification work performed by Page Avjet Corporation of Orlando. 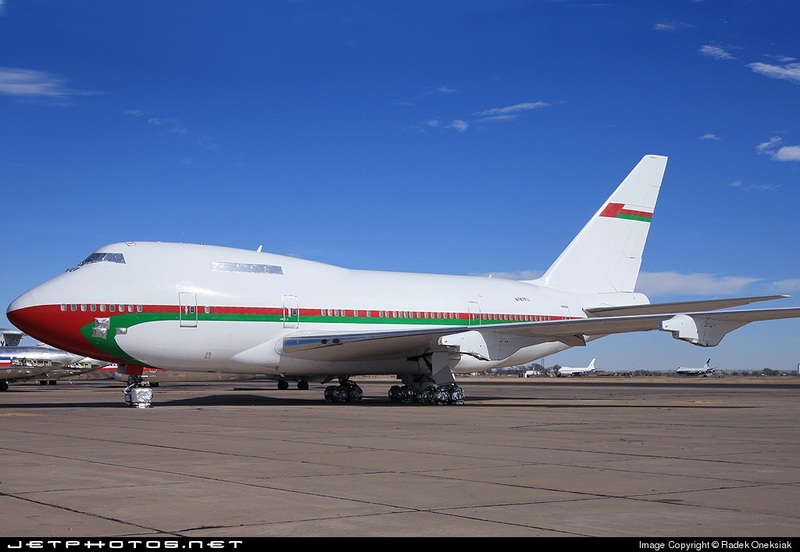 Plane now registered in Oman, but flying in US airspace. 2004-09-23 A4O-SP No Titles Seen MCT Seen in hangar at Muscat, Oman. 2004-10-19 Apollo Aviation Capital Management, LLC Bought Owner of record recorded as GA Telesis Turbine Technologies, LLC. Sold to Apollo Aviation Capital Management, LLC. 2004-10-20 A4O-SP Reg Cancelled Omani registration formally cancelled. 2004-10-21 No Titles All white Seen ROW Seen and photographed at ROW, all white, no registration visible, faint lines on tail where Omani flag was once painted. Not yet "taped-up" for storage. 2004-11-02 Status ROW 46076 hours, 7820 cycles. 2004-12-01 All white For Sale Listed as "for sale" by www.okaviation.com (OK Consultants). Asking price $8.0 million. 46000 hours on the airframe. 2005-02-07 A4O-SP No Titles All white Seen ROW Seen, still parked, waiting for a buyer. Has been prepped and sealed for long term storage, with mylar applied to windows, pitot tubes, etc., although landing gear appears to still be exposed. Registration has been put back on plane. 2005-06-20 A4O-SP Frys Electronics Bought Sold by Apollo Aviation Capital to Mr. William Fry of San Diego, owner of Frys Electronics for the sum of "$10 and other good and valuable consideration." 2005-07-01 A4O-SP Other ROW Engines were removed. Plane was left engineless. 2006-01-22 N747FU No Titles Basic Oman colours Seen ROW Oddly enough, the white paint has apparently been stripped off the plane. Now wearing the Omani colors again, including flag on the tail. 2006-01-25 N747FU Seen ROW Plane still sitting engineless. Plane is still being actively maintained, with all systems being started up every week or so. No leaks. Interior is covered and appears new. 2006-01-31 N747FU Seen ROW Seen, still all in one piece. 2006-07-11 N747FU No Titles Basic Oman colours Seen ROW Parked near fence now it had markings again. 2006-09-19 N747FU Reg Changed ROW Although the registration had already been painted on the plane, it was not formally reregistered until this date. 2007-04-28 N747FU Ferried SBD Ferried ROW-TUS-SBD by an operation called CC2B, LLC, of San Jose, CA. Likely associated somehow with Frys Electronics, headquartered in San Jose. 2007-05-01 N747FU No Titles Seen SBD Undergoing maintenance and interior work. It will also get a new paint job. 2007-10-19 N747A No Titles Reg Changed SBD Reg may have been changed to mask true identity of aircraft while in service. 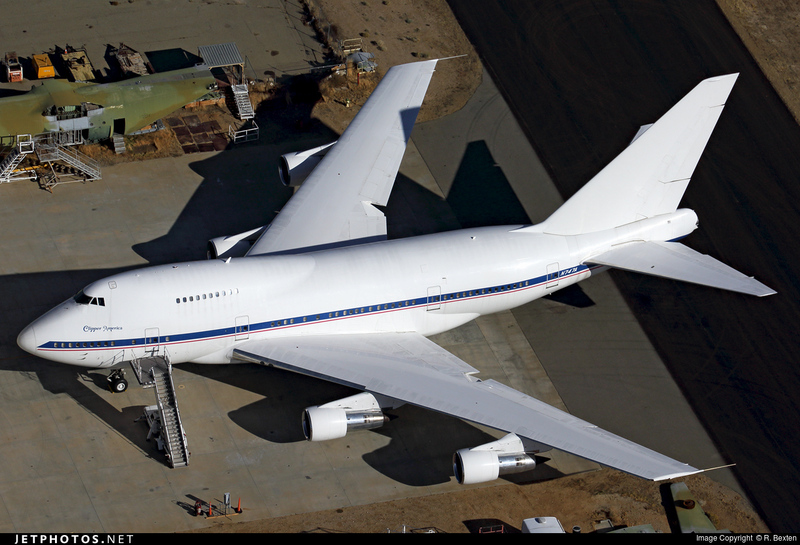 2007-10-19 N747A No Titles White with Blue/Red cheatline Seen SBD Aircraft just out of paint shop with new N number. Interior is being refitted. 2007-11-19 N747FU Ballet San Jose Ballet dancer on tail. Clipper America Seen SBD Conducting touch & goes then flew north towards high desert. 2007-11-19 N747FU Seen SJC Seen departing at 16:18 local. 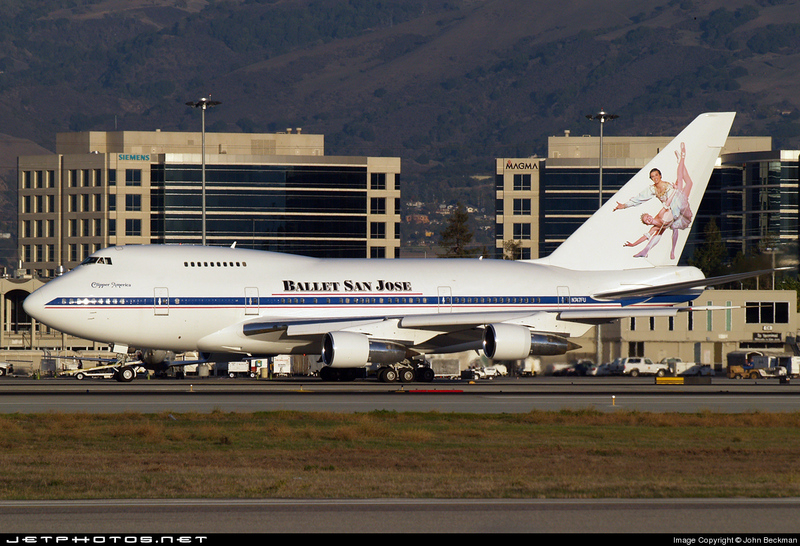 2007-11-20 N747FU Ballet San Jose Ballet San Jose Reg Changed CLE The registration has been changed back to N747FU. 2007-11-21 N747FU Ballet San Jose Ballet San Jose Clipper America Seen CLE Spotted at CLE after making its first run for new owner and in new ''Ballet'' colors. Transported Ballet San Jose to Cleveland for its annual run of ''The Nutcracker'' -- will return to SJC on Dec. 10. Plane is owned by John Fry of SJC-based Fry''s Electronics, who is also Chairman of Ballet San Jose. 2007-12-03 N747FU Ballet San Jose Ballet tail Seen SJC It arrived from CLE at SJC at 14:00. Parked at ACM Aviation. Departed at 16:00 for SBD. 2008-01-12 N747FU Ballet San Jose Seen SBD Outside of main hangar San Bernardino Itl Airport on an incredibly rare clear day. 2008-01-21 N747FU Clipper America Other SBD Aircraft in for modification at BaySys West. 2008-05-15 N747A Ballet San Jose Ballet dancer on tail, + China 2008 titles Clipper America Seen SBD Frys Electronics logo on fuselage. Many small logos. After C check, getting ready for a first flight. 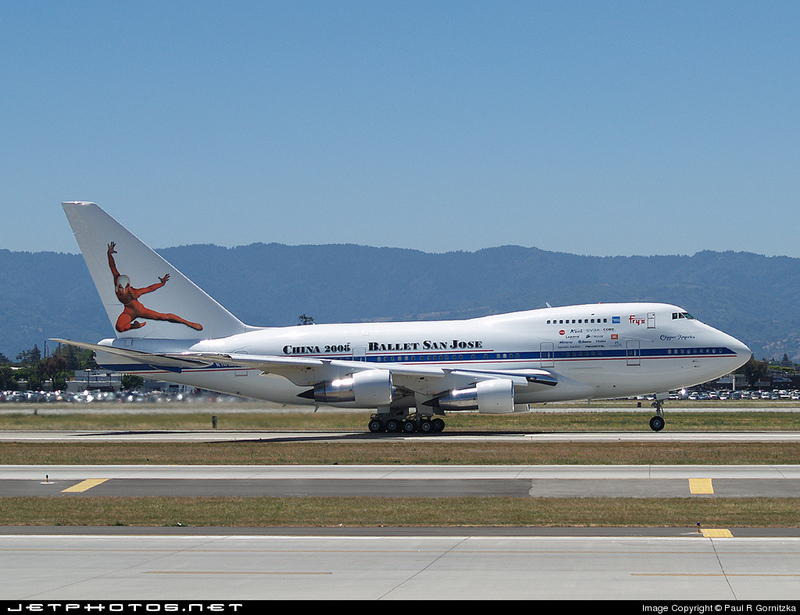 2008-05-16 N747A Ballet San Jose Seen SJC Seen Parked at ACM Aviation. Scheduled to Fly Ballet San Jose to China on 5-17-08 for six week good will tour. 2008-05-16 N747A Ballet San Jose Ballet dancer on tail, + China 2008 titles Clipper America Seen SBD Frys Electronics logo on fuselage. Many small logos. 2008-06-22 N747A Ballet San Jose Ballet dancer on tail, + China 2008 titles Clipper America Seen SJC Returning from China tour. 2008-10-14 N747A No Titles Clipper America Seen MCC Aircraft did fly-by over runway then landed. Very nice and clean! 2009-03-13 N747A Frys.com Seen SAT Seen again at SAT maint hangars, has been here for several weeks, but not continuously since Nov report. Same livery with Frys.com on the side. 2009-09-03 N747A No Titles Seen EDI Landed at 10.00. 2009-09-05 N747A No Titles Clipper America Seen EDI Parked remote. 2009-09-07 N747A No Titles Clipper America Seen DFW 3 hour stopover heading west. Stand terminal D.
2009-09-11 N747A No Titles Clipper America Seen EDI It was parked at the far end of runway 12, too far for any detail to be seen. 2009-09-30 N747A No Titles Seen MCC Plane has been hangered at the McClellan airport (KMCC) in Sacramento, CA for the last several months. 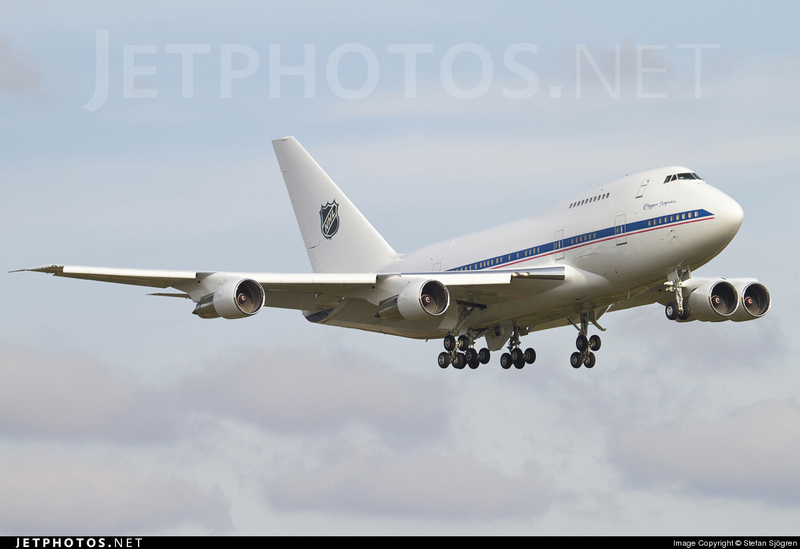 2010-06-17 N747A No Titles Clipper America Seen MCC Has been conducting test flights, run on landings and low passes all day. 2010-09-30 N747A No Titles NHL logo on tail Seen SJC Departing for Mannheim, Germany taking the San Jose Sharks to EDSB for exhibition match. ETD KSJC 2240z, ETA EDSB 0905z. 2010-10-05 N747A No Titles NHL logo on tail Clipper America Seen ARN Arrived runway 19R after a flight from Karlsruhe carrying San Jose Sharks NHL team. 2011-08-26 N747A No Titles White, blue line Clipper america Seen MCC Touch and go, flying low clockwise circles never more than several thousand feet off ground. 2011-08-28 N747A No Titles Clipper America Seen MCC Flew Touch and Gos for about 40 min at McClellan Sacramento, California. 2011-12-19 N747A No Titles NHL Logo on tail Clipper America Seen SBD Still wearing San Jose NHL logo onleft side of tail and NHL logo on right side of tail. 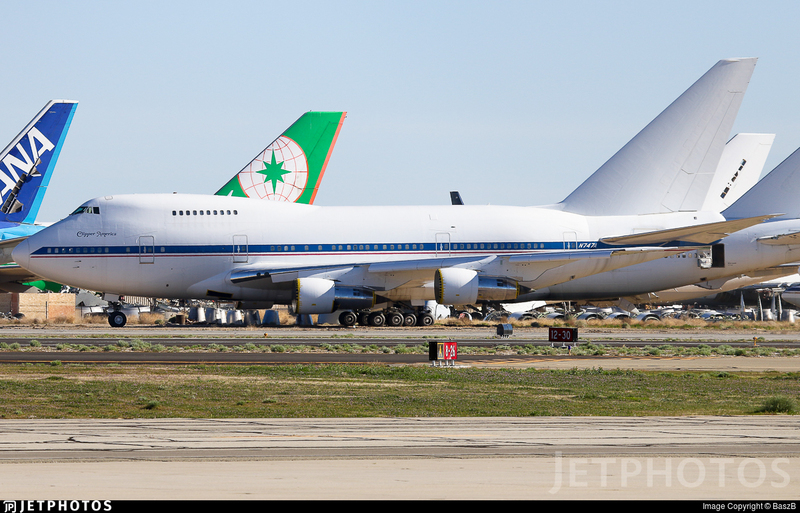 2013-05-30 N747A No Titles White, with Pan Am strips, Clipper America Seen SBD Aircraft under refurbishment in SBD, new engines, new interior. 2013-06-10 N747A No Titles Clipper America Seen SBD Used in a TV show starring Betty White and parked at gate. 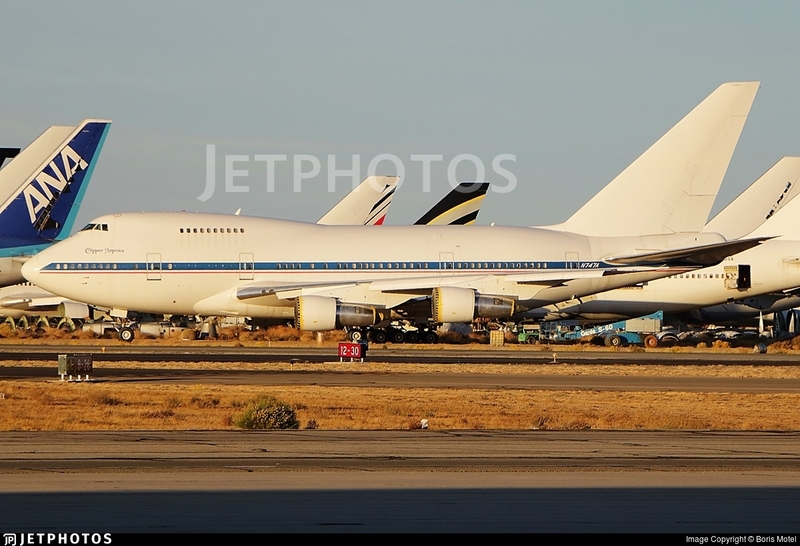 2015-01-26 N747A Seen SBD Seen on the ground. No noticable text other than registration (N747A) and Clipper America text. 2017-01-10 N747A Other Reg certificate issued as Gvmt. 2017-11-02 N747A No Titles Clipper America Seen MHV Seen intact, parked. 2017-11-19 N747A No Titles Clipper America Seen MHV Parked, intact. 2018-03-31 N747A No Titles Seen MHV Engines being removed from aircraft. 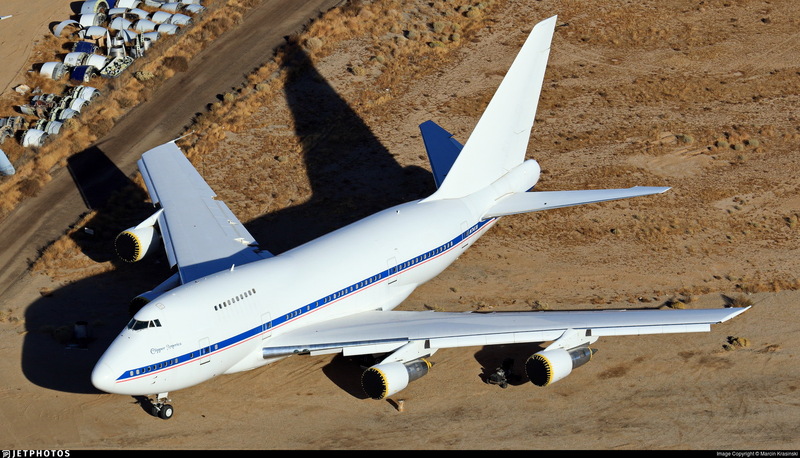 Will be reconditioned and recertified for NASA 747SP N747NA.